Event date is Thursday, November 28, 2019. 5K starts 10:00 a.m. Youth fun run starts at 9:30 a.m.
5k & Youth run start at City Hall, on Roosevelt Ave, Pawtucket RI. SAVE $6 when you sign up for all three Holiday series 5k's. Combo offers include the RI Family Turkey Trot 5k, The Providence Monster Dask 5k on October 27 and the Amica Downtown Jingle 5k in Downtown Providence on Sunday December 1. SAVE $4 when you select a two race combo entry option when registering. Inside bathrooms are available at the Blackstone Valley Visitor Center located at 175 Main St., Pawtucket. Refreshments will be available at the finish line after the race. 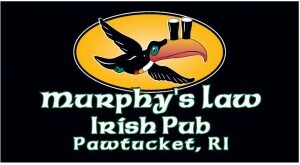 Post Race Party at Murphy's Law located at 2 George Street Pawtucket, RI 02860 starting immediately after the 5k. Please plan on arriving early to park and pick up your race packet. If possible, please try to pick up your race packet before race day.. See Number Packet Pickup for details. Baby Strollers: For safety reasons, no running with baby strollers is allowed. If you do plan on participating with a baby stroller, you must line up at the back and walk only. Please respect this important safety rule. No pets allowed. Thank you. *Top 3 male and female youths in Turkey Trot fun run. *Online registration closes 11/27/2019 at 8:45 p.m.. No refunds. No pets allowed. Baby strollers are allowed for walkers only. Walkers are asked to line up at the back for safety reasons. Thank you. Do not mail after 11/20/2019. No refunds. No pets allowed. Baby strollers are allowed for walkers only. Walkers are asked to line up at the back for safety reasons. Thank you. Youth 1K $18. T-shirt included. Packet pickup will start 8:30 a.m. to start of the race at 10:00 a.m.